Evaluated as espresso. Sweet-toned aroma: Banana, crème de menthe, dark chocolate, ripe plum. In the small cup creamy mouthfeel with rich depth and balance; the chocolate turns caramelly and the fruit richer and sweeter, complicated by a hint of anise. Flavor persists in a resonant finish. Excellent flavor in two parts milk: dark chocolate, plum, mint. 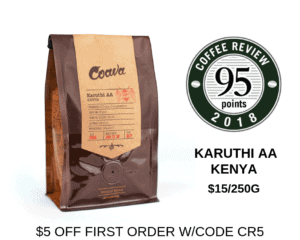 The A in this blends name refers to the grade of the coffee purchased, and the 4 and 5 reference two different roast profiles blended together. 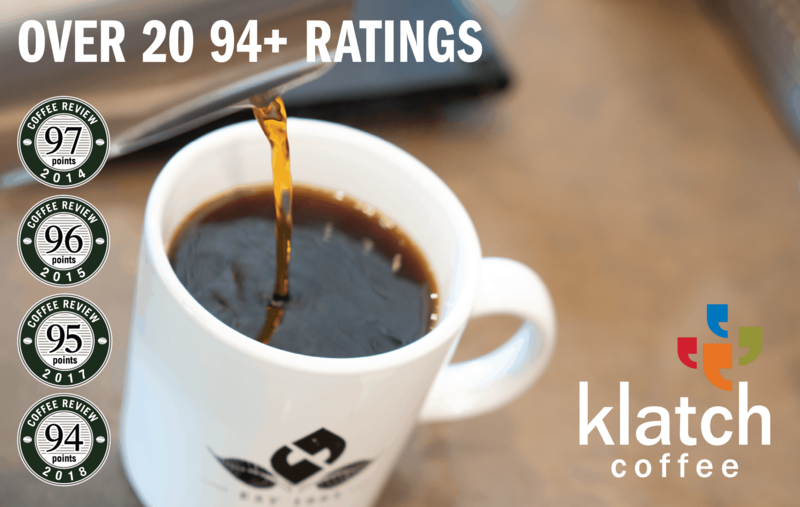 Bluekoff is a company in Thailand that involved in all aspects of coffee, from milling and roasting to coffee wholesale and retail and related equipment and training services. Visit www.bluekoff.com or call +66-81-751-1217 for more information. Who Should Drink It: Impressive straight-shot espresso, with buttery body and sweet depth, but perhaps at its best in short milk, where it retains its richness and individuality.